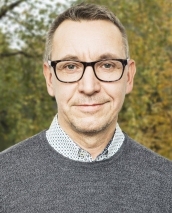 April 10, 2019 - Rottneros said that Michael Berggren, Mill Director for Vallvik Mill, has decided to take up a position outside Rottneros and has given his six-month notice. He will remain in full capacity during this period. Berggren commented, “It has been very developing and rewarding to have been responsible for the development of Vallvik Mill after major investments have been made. It was no easy decision to now accept the assignment to become the mill manager for Aspa Bruk, part of Ahlström-Munksjö, but in the end I made the decision based on personal reasons. “I am happy and proud of what we have achieved in Vallvik in the last few years and I will miss all the competent and happy colleagues,” he added. Rottneros said it has started the recruitment process for a new Mill Director for Vallvik Mill.